Scary Stories To Tell In The Dark Are Heading To The Big Screen!!!! Guillermo del Toro is a busy man, but when you’re as creative as he is, it would require multiple outlets to sate the flow of curiosity. He recently joined with James Cameron to direct a remake of ‘Fantastic Voyage‘,this time del Toro is in the news for lending his skills to produce a movie version of ‘Scary Stories to Tell in the Dark‘. At the heart of the project is a trilogy of books by Alvin Schwartz. 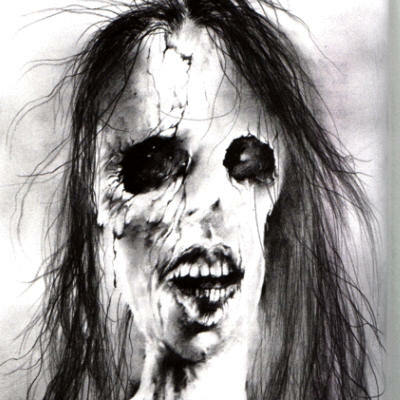 The books are more than just stories, there are plenty of illustrations by Stephen Gammell to help the creep-factor really sink in to their younger audience. The tales are based on folklore and urban legends and they make up ‘Scary Stories to Tell in the Dark‘, ‘More Scary Stories to Tell in the Dark‘ and ‘Scary Stories 3: More Tales to Chill Your Bones‘. The books made one hell of an impact on all of us who read these in our younger years, for this reason, the collection was often banned by the American Library Association as they were deemed too scary for children, especially the nightmare-like pictures. John August has written the screenplay, but that’s about all we’re getting on the creative side right now. Sean Daniel, Jason Brown and Elizabeth Grave are also producing. 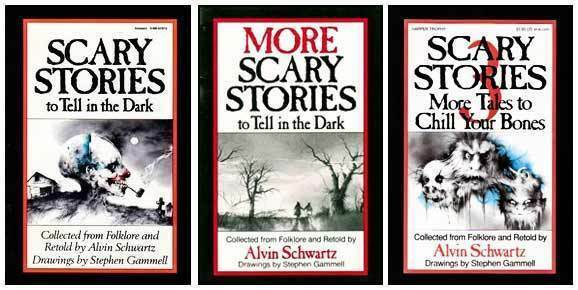 ‘Scary Stories To Tell in The Dark’ Will Eat Your Soul On The Big Screen!!! Own The Middle Earth 6-Film Collection November 1st!!! This entry was posted on Friday, January 15th, 2016 at 12:58 am	and is filed under Books, Film, News. You can follow any responses to this entry through the RSS 2.0 feed. You can skip to the end and leave a response. Pinging is currently not allowed. « ‘Hellions’ Is Making It’s Way To Blu-ray and DVD!! !